Some individuals are interested in investing in fine wine for fun and profit. 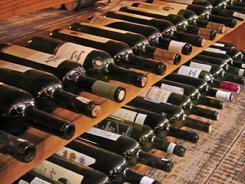 What are the cost basis rules and tax rate that apply to the sale of wines held as an investment? The wine asset category is classified as a collectible and receives the "collectibles" tax rate on capital gains--currently 28%. The major difference with wine as an investment is that ongoing carrying costs can be claimed as an adjustment to your tax basis for computing the gain on sale. Thomas Ryder has written about his experiences with fine wine investing in "How to Build a Wine Cellar" which appeared in the September 15, 2012, issue of Barron's Magazine. He reviews his past investment results in the article Fine Wine Poor Returns, also in Barrons.